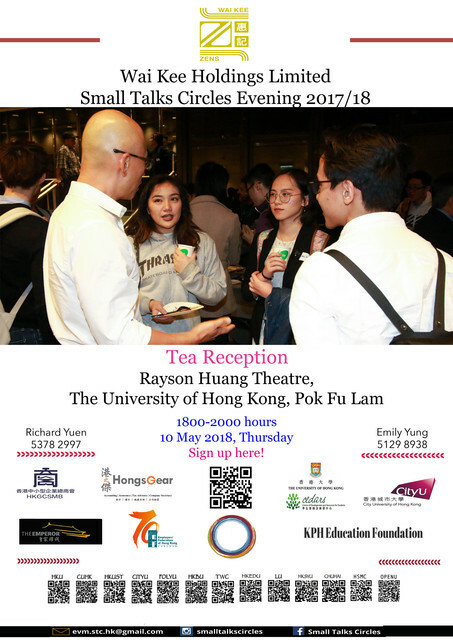 As a result of the continued support from Hong Kong's 13 tertiary institutions Small Talks Circles is now entering its 8th year ! 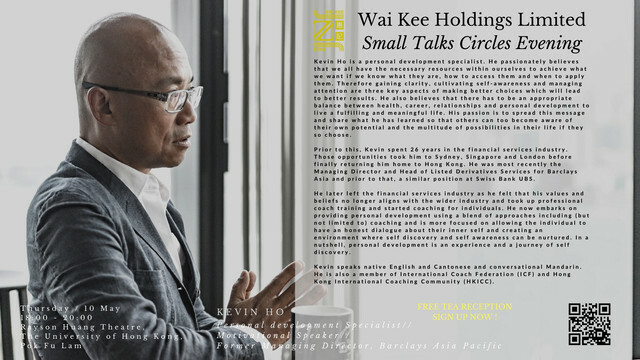 Come sign up for the ever popular and much-talked-about social education forum proudly presented by Small Talks Circles Limited in partnership with Wai Kee Holdings Limited ! Small Talks Circles is a non-profit social education forum aimed at broadening university students' horizons outside classrooms while helping them to prepare for a rewarding and fulfilling work life. You can also visit us on Facebook, Instagram and Youtube ! Please arrive between 1800 and 1815 hours for registration. First come first served. Sign up now ! See you all on May 10 at the The University of Hong Kong! horizons outside academia while helping them to prepare for a rewarding and fulfilling work life.